Artificial intelligence is giving scientists new hope for studying the habitability of planets, in a study from astronomers Chris Lam and David Kipping. Their work looks at so-called "Tatooines," and uses machine learning techniques to calculate how likely such planets are to survive into stable orbits. The study is published in the journal Monthly Notices of the Royal Astronomical Society. Moving around two stars instead of just one can lead to large changes in a planet's orbit, which mean that it is often either ejected from the system entirely, or it crashes violently into one of its twin stars. Traditional approaches to calculating which of these occurs for a given planet get significantly more complicated as soon as the extra star is thrown into the mix. "When we simulated millions of possible planets with different orbits using traditional methods, we found that planets were being predicted as stable that were clearly not, and vice versa," explains Lam, lead author of the study and a recent graduate of Columbia University. Planets need to survive for billions of years in order for life to evolve, so finding out whether orbits are stable or not is an important question for habitability. The new work shows how machine learning can make accurate predictions even if the standard approach—based on Newton's laws of gravity and motion—breaks down. "Classification with numerous complex, inter-connected parameters is the perfect problem for machine learning," says Professor Kipping, supervisor of the work. 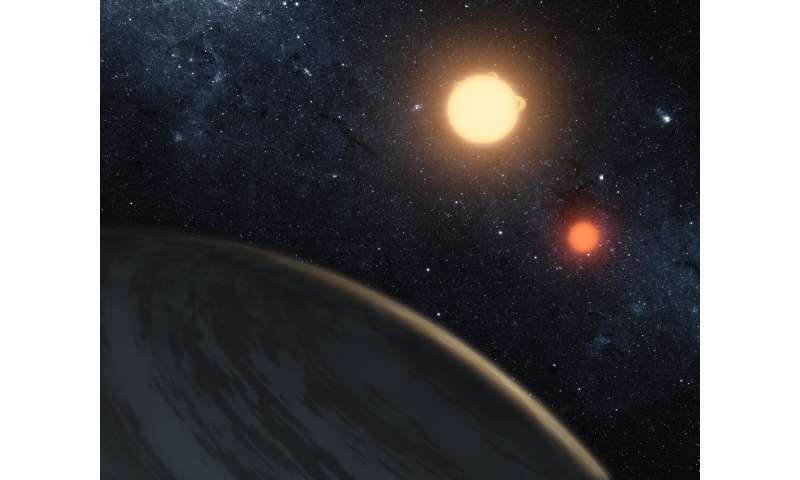 More circumbinary planets look set to be discovered by NASA's Transiting Exoplanet Survey Satellite (TESS) mission, and Lam expects their work to help: "Our model helps astronomers to know which regions are best to search for planets around binary stars. This will hopefully help us discover new exoplanets and better understand their properties."